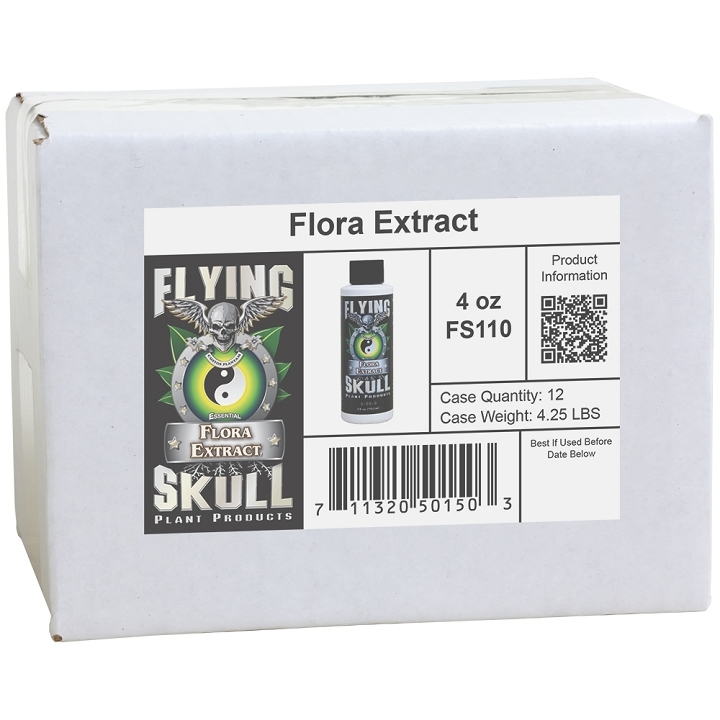 Essential Flora Extract is a highly soluble, concentrated (1/4 mL per gallon) and naturally steeped additive derived from land and sea plants. 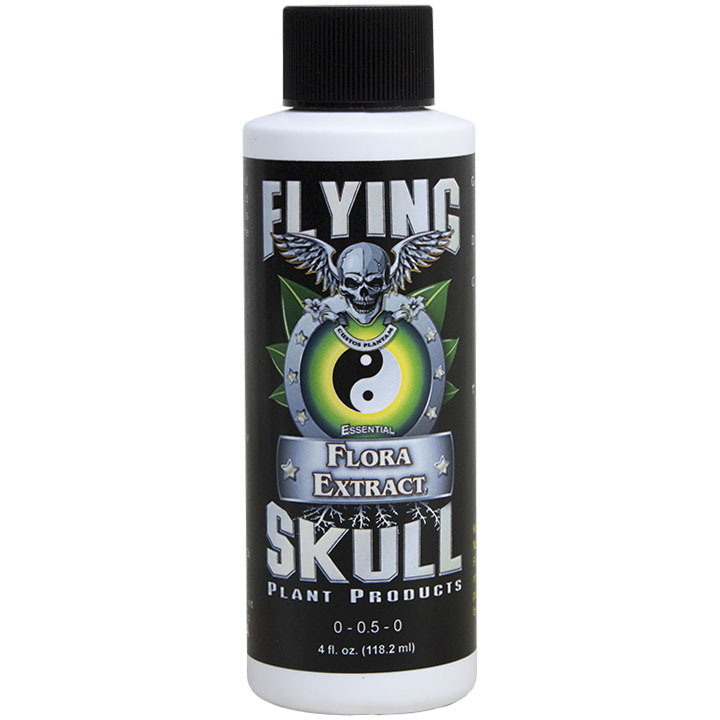 As with all Flying Skull products, great care has been taken to make sure that the chemistry behind Essential Flora Extract will work without causing any adverse chemical reaction with any other Flying Skull product. Essential Flora Extract has been successfully used in all hydroponic systems including Deep Water Culture without a negative impact to the plants delicate root system. 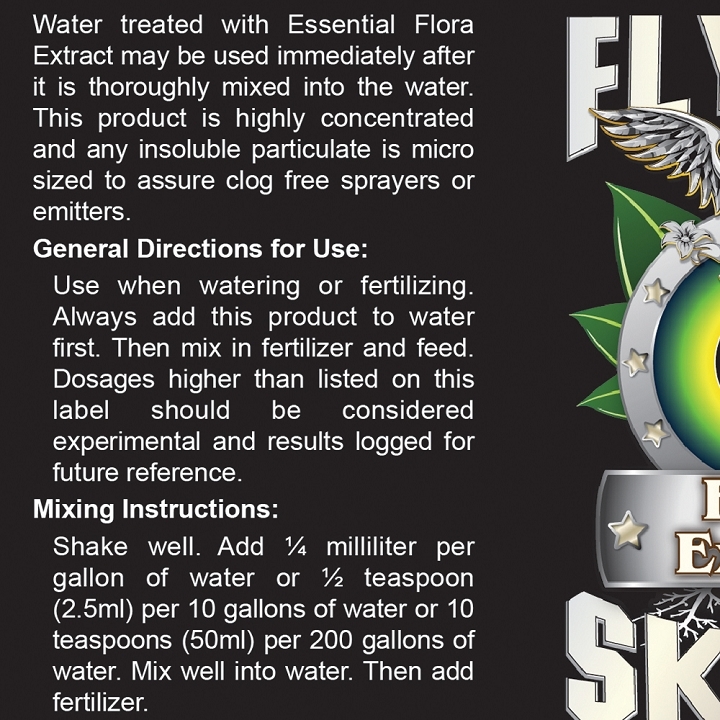 Essential Flora Extract will benefit all plants no matter what water supplies are being used. Add this product to water. 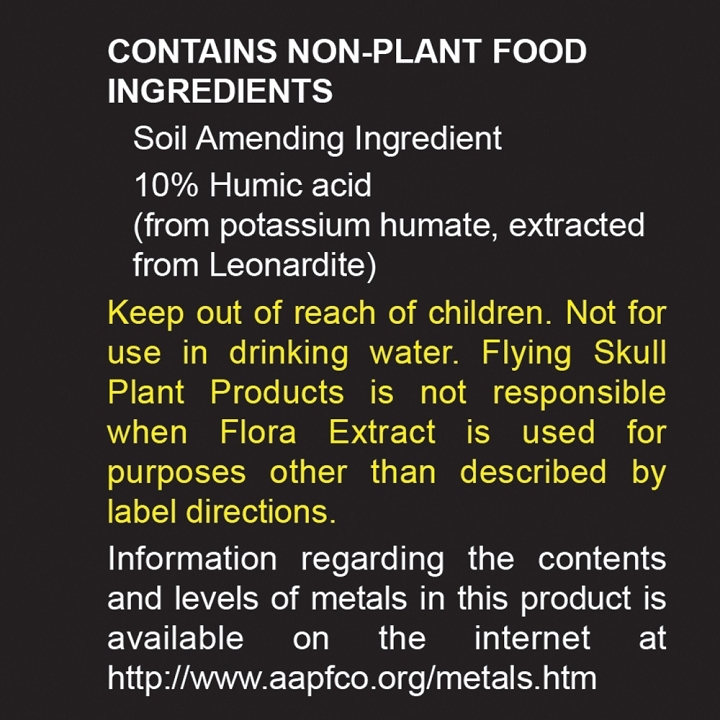 If fertilizing, add this product to water first. Then mix in fertilizer and feed. The use of Z7 alongside this product is recommended. If pH correcting a tank is necessary, add the proper amount of pH adjusters first to the water tank and then add fertilizers. Shake well. Add 1/4 milliliter per gallon of water or 1 teaspoon per 10 gallons of water. Mix well into water. Then add fertilizer.